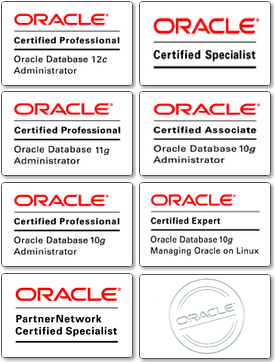 Bacharel em Sistemas de Informação, MBA em Oracle Database Management e Senior DBA na Teiko Soluções em TI. Está envolvido em soluções multi-plataforma de alta disponibilidade, como implementações de RAC, Dataguard, Oracle Engineered Systems entre outros. É um entusiasta da tecnologia Oracle, Oracle ACE Associate ♠ e autor em vários blogs e OTN (Oracle Technology Network). Bachelor of Information Systems, MBA in Oracle Database Management and Senior DBA at Teiko Soluções em TI. It is involved in high availability multi-platform solutions such as RAC, Dataguard, Oracle Engineered Systems and others. He is an Oracle technology enthusiast, Oracle ACE Associate ♠ and author on several blogs and OTN (Oracle Technology Network). Disclaimer: The views expressed on this blog are my own and do not necessarily reflect the views of Oracle.